Congratulations to Dominic Gough made his run around Loch Ness !!! 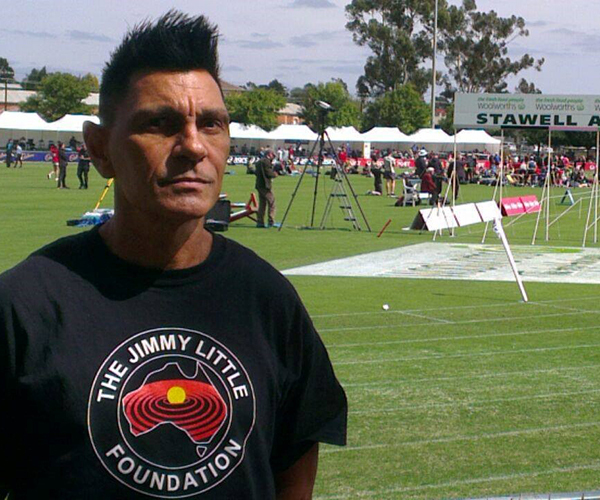 Raising awareness and money for the Jimmy Little Foundation... Well done Dominic, you are a CHAMPION!!! Dominic writes: “I made it! Phew, I was so tired but so happy! I finished in a time of 4 hours 10 minutes. 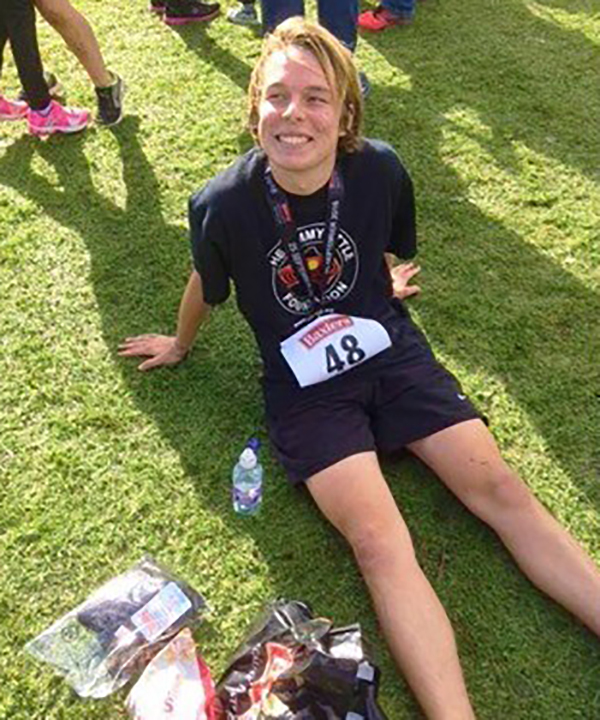 I'm hoping that my run will have raised awareness of Aboriginal health issues will help to make a small difference. Thanks everyone for your support." The JLF were the proud sponsors of the Northern Nations Women’s Football team who played at the inaugural National Indigenous Football Championships held at Ison Park in South Nowra in November 2016. The Northern Nations Women’s Football team went all the way to the grand final, but went down to Illawarra Bungarra 0-4. But great effort girls!!! We all here at the Jimmy Little Foundation are thrilled to be represented by David Ian Oxenbridge in his athletic career, and wish him all the best in the 2016 Stawell Gift, which is Australia’s richest footrace. David Ian Oxenbridge was chosen for his outstanding contribution to the community and for his inspiration for all Indigenous people of all ages. 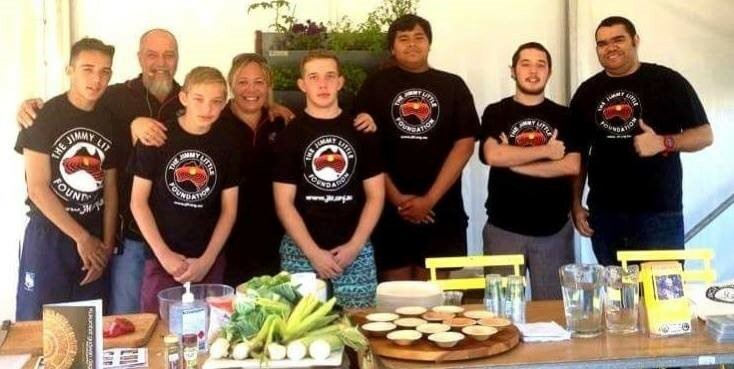 A huge thank you to the team at the Blak Markets at La Perouse with the Jimmy Little Foundation healthy choices ‘cook up’. 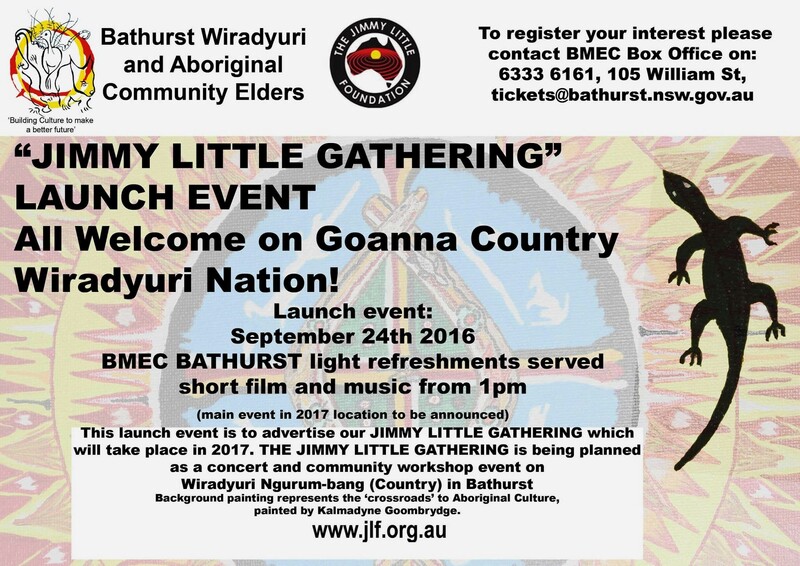 Looking forward to the JIMMY LITTLE GATHERING being organized by the Bathurst Wiradyuri and Aboriginal Community Elders for the 23rd September, 2017. It will be a one-day music event at Bathurst including performances by Aboriginal musicians, actors and dancers, storytelling sessions and workshops covering a range of Aboriginal arts and culture. The Bathurst Wiradyuri and Aboriginal Community Elders will present the event with support from the Jimmy Little Foundation, Black Theatre and Bathurst Regional Council.